We know why Miley Cyrus can't even have a retort on Sinead O'Connor's open letter. She's been busy taping her scenes and performances for SNL's latest episode and that rubbed her the opportunity to craft some lengthy replies. But despite her lack of time she was able to make some tweets now and then that created some uproar and developed a feud between the two singers. 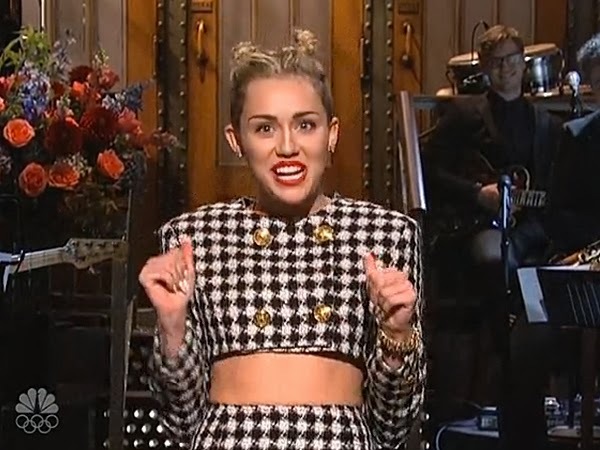 But let's run away from that crazy episode and finally focus on Miley's appearance on SNL. The singer has released two of her performances from the show which you can watch below, courtesy of her official VEVO page. What do you think of these Miley Cyrus performances? If you can't get enough of these then head over to EW for more. Or you can check out her raunchy photoshoot with Terry Richardson.